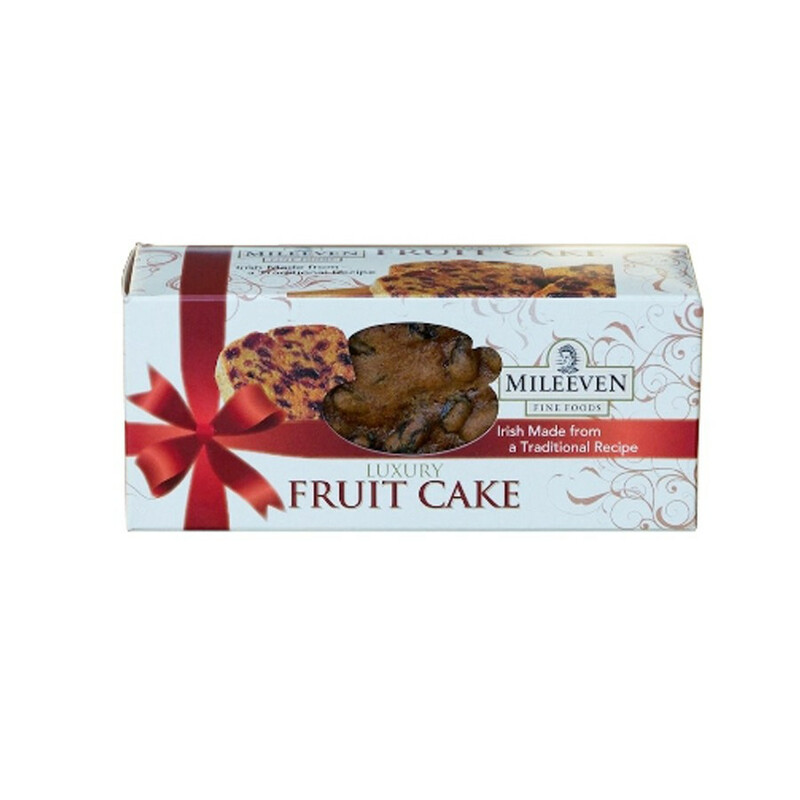 This richly fruity and buttery Irish cake offers the quality and tastefulness of traiditional Irish recipes. 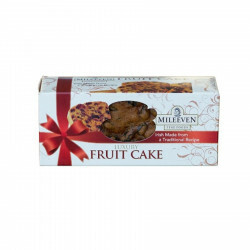 Ingredients: sultanas (44%), fortified wheat flour (wheat flour, calcium carbonate, iron, niacin [B3], thiamin [B1]), sugar, whole egg, vegetable oil (rapeseed), molasses, mixed peel (0.9%)(orange peel, glucose-fructose syrup, lemon peel, sugar, acidity regulator [citric acid], preservative [sulphur dioxyde] potassium sorbate, salt), salt, mixed spice, raising agent (disodium diphosphate, sodium hydrogen carbonate). Allergy advice: see ingredients in bold. May contain peanut, nut and soya traces. Once opened, store in a cool, dry place and in an airtight container.